truck load up to 120 cubes volume, 38 euro pallet, partial load and oversize load between Baltic, Nordic and Europe countries . 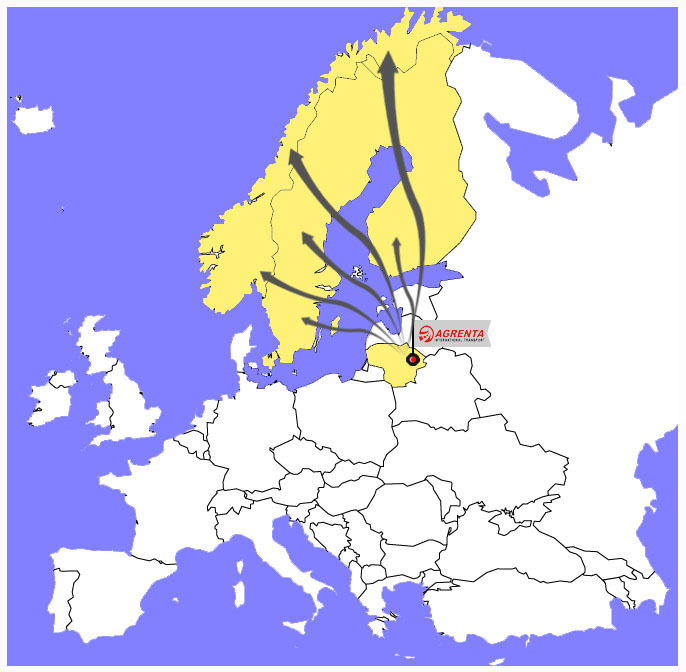 Main „Agrenta“ specialization – full, partial and oversize load transportation between Baltic and Nordic countries. all relevant requirements, drivers are fully trained to drive safely in all weather conditions. (NL), Germany (DE), Finland (FIN), Denmark (DK)) to Lithuania ( LT)).